Jingmei Li, Ph.D., from the Genome Institute of Singapore, and colleagues assessed whether the genetic risk stratification of breast cancer by rare and common variants in established loci can discriminate tumors with different biology, patient survival, and mode of detection among 5,099 patients with breast cancer diagnosed in Sweden between 2001 and 2008. The genetic risk load was evaluated through protein-truncating variant (PTV) carriership in 31 breast cancer predisposition genes or polygenic risk score (PRS) using 162 single-nucleotide polymorphisms. The researchers found that PTV carriers (597 patients) were younger and were associated with more aggressive tumor phenotypes (estrogen receptor-negative, large size, high grade, high proliferation, luminal B, and basal-like subtype) and worse outcome (hazard ratio [HR], 1.65) versus noncarriers. PTV carriership remained associated with high grade and worse survival (HR, 1.76) even after 92 BRCA1/2 carriers were excluded. Higher PRS was associated with less aggressive tumor characteristics (estrogen receptor-positive, progesterone receptor-positive, small size, low grade, low proliferation, and luminal A subtype) in BRCA1/2 noncarriers. In women with low mammographic density, non-BRCA1/2 PTV carriers more often had interval than screen-detected disease (odds ratio, 1.89), but higher PRS was associated with a lower risk for interval-detected versus screen-detected cancer (odds ratio, 0.77). 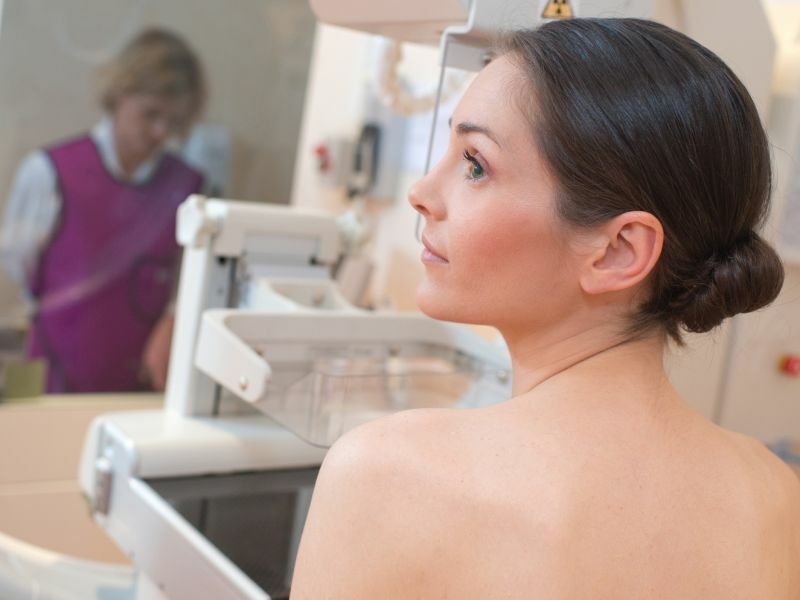 "These findings offer the potential to improve screening practices for breast cancer by providing a deeper understanding of how risk variants affect disease progression and mode of detection," the authors write. One author disclosed financial ties to AstraZeneca, which partially sponsored the study.